This was a fun activity that the toddlers around here loved. I put a bunch of little objects out on a tray, all in shades of blue. 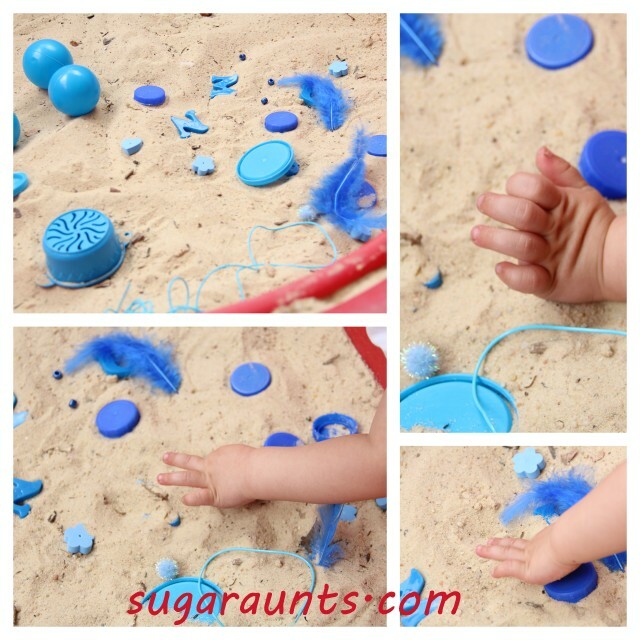 Different textures, shapes, and sizes were perfect for little exploring hands. Baby Girl and my nephew played with these for a while. Once they had enough of that activity, I poured the whole tray into the sandbox and we had a ball covering everything with sand, finding little things, and starting all over again. We've been on a blue kick around here. It started when we filled our bird feeder and had a Blue Jay in our front yard. 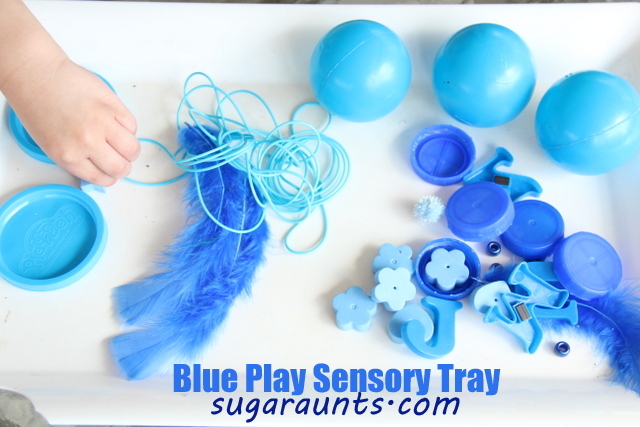 Watch this space for more BLUE play and craft activities!